Theorem 10.2 If the angles subtended by the chords of a circle at the center are equal, then the chords are equal. 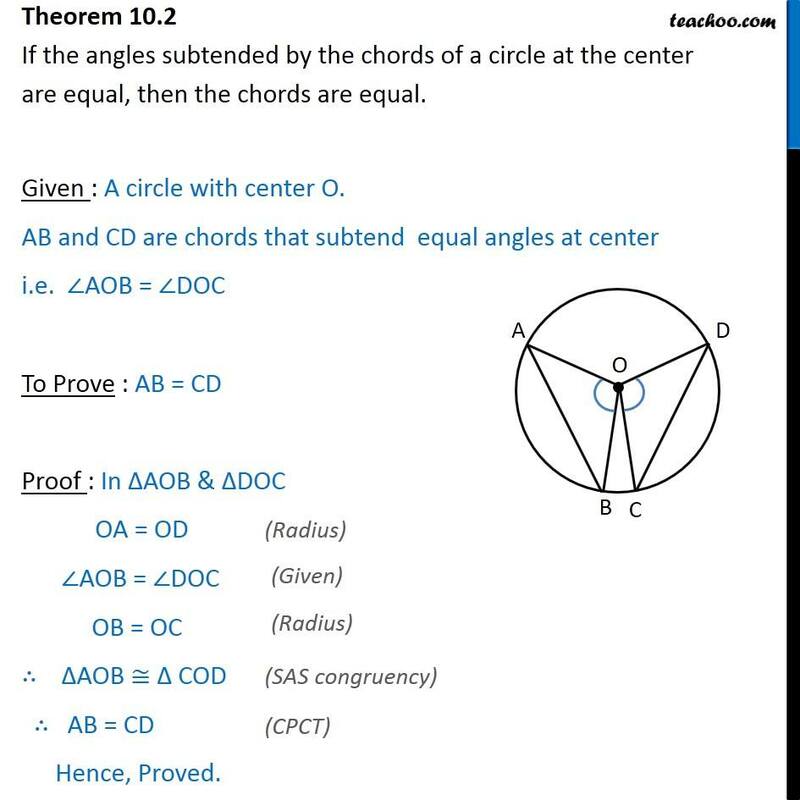 Given : A circle with center O. AB and CD are chords that subtend equal angles at center i.e. ∠AOB = ∠DOC To Prove : AB = CD Proof : In ΔAOB & ΔDOC OA = OD ∠AOB = ∠DOC	OB = OC	∴ ∆AOB ≅ ∆ COD ∴ AB = CD	Hence, Proved.